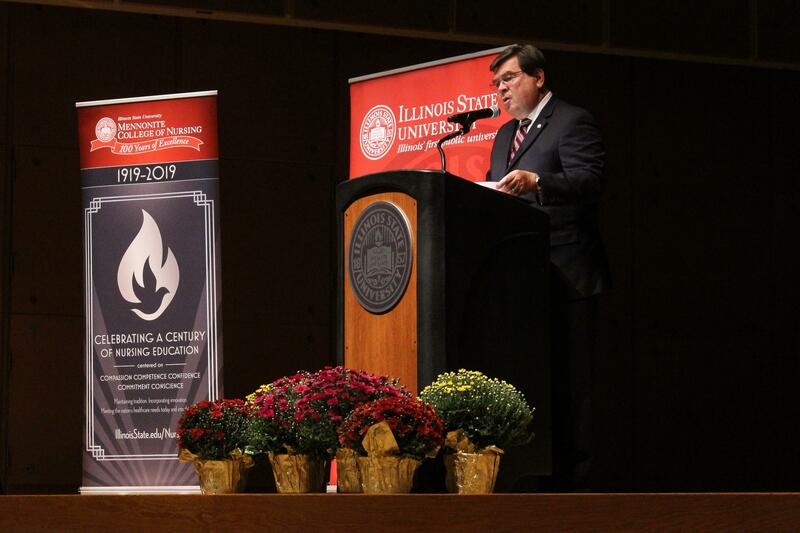 Illinois State University President Larry Dietz delivers his State of the University speech Thursday, Sept. 20, 2018. 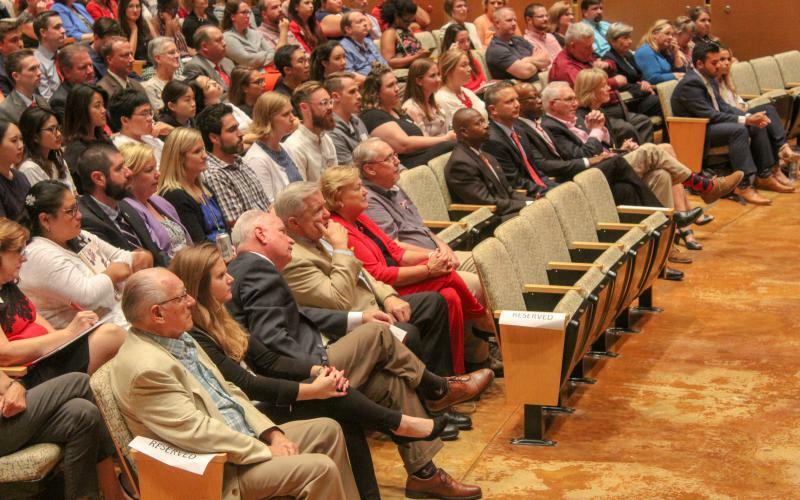 The audience at the State of the University address on Thursday, Sept. 20, 2018. Faculty Senate President Susan Kalter at the State of the University address on Thursday, Sept. 20, 2018. Illinois State University President Larry Dietz on Thursday announced new scholarships that could keep high schoolers from leaving the state, as he called on lawmakers to revamp the way they fund higher education. AIM High scholarship program, which universities are being asked to match. It’s aimed at getting more high school graduates to attend in-state colleges and universities. ISU will also begin offering free tuition to five selected McLean County students each year, based in part on their record of community service. “One of Illinois State’s core values is civic engagement, and this is another way to put our money where our values are,” Dietz said. Illinois Wesleyan University in Bloomington announced a similar scholarship program aimed at McLean County students earlier this year. 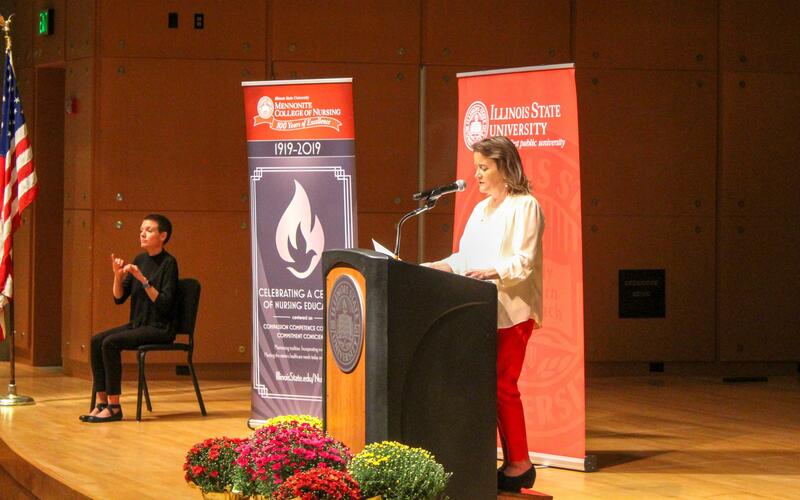 ISU has been one of a few bright spots in Illinois higher education in recent years. 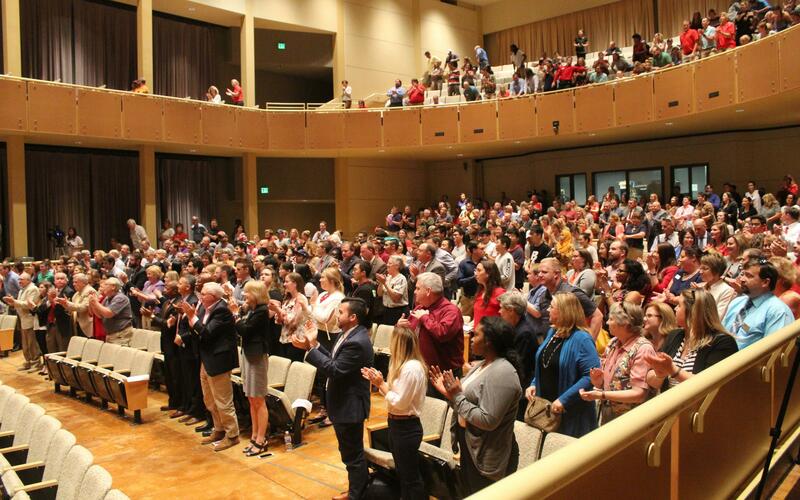 ISU’s freshman class grew by 10 percent this fall, as other schools like Southern Illinois University at Carbondale and Western Illinois University faced steep declines. Dietz said he plans to lobby lawmakers this year to craft a new funding formula for higher education that’s based on performance. 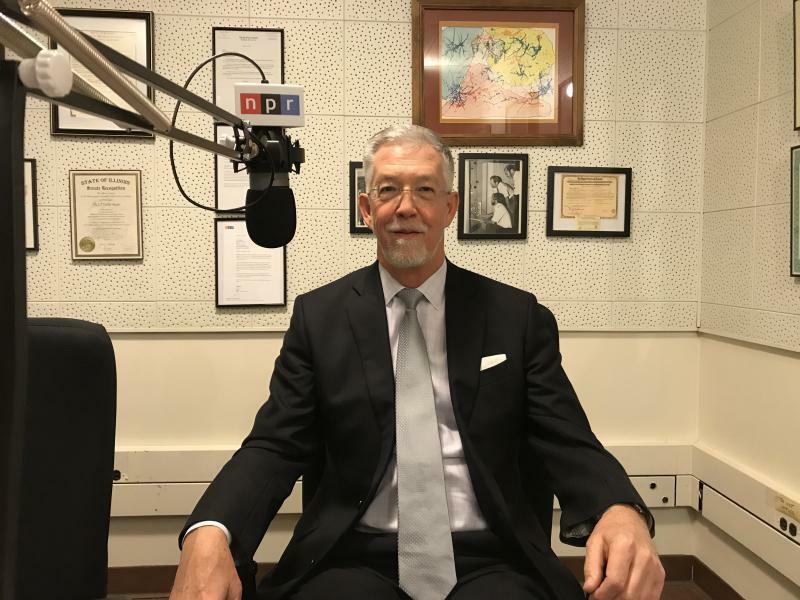 That new model should “reward high-performing universities—those that enroll students who persist, graduate, and get the jobs that make them taxpaying Illinois citizens,” Dietz said. ISU received $66.3 million in this year’s state budget, a 2 percent increase. See more about Dietz's speech at News.IllinoisState.edu. 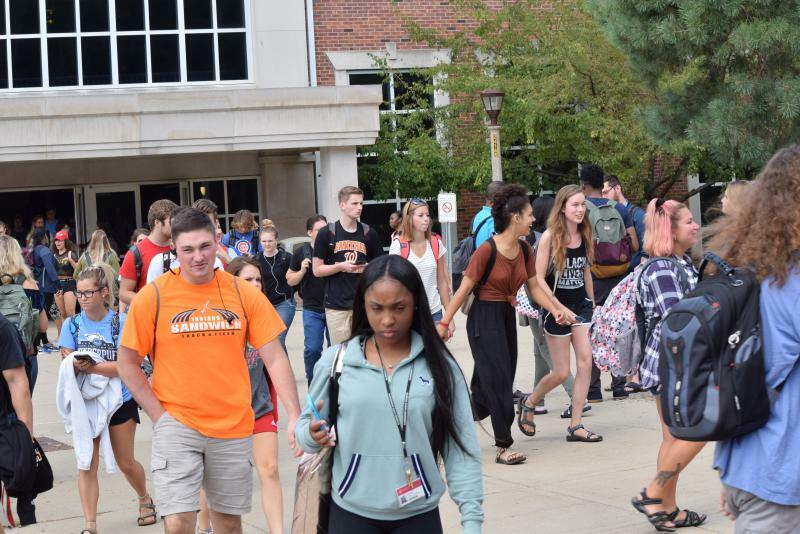 Illinois’ public universities have finished tallying up their student bodies for the new school year, and once again it’s a mix of winners and losers. Illinois Wesleyan University has its largest freshmen class in at least five years. Illinois government wants to keep kids from leaving the state for college. Its latest effort is a website and app that allows students and their parents to compare in-state schools.